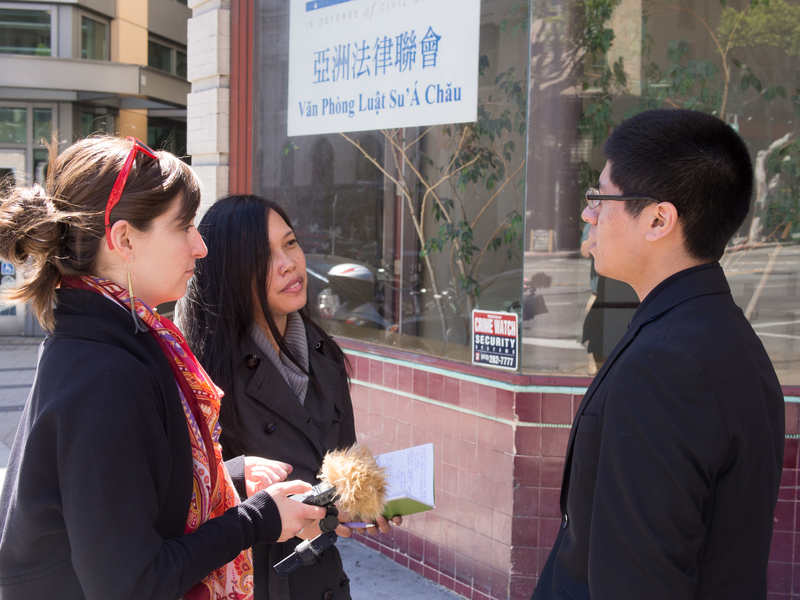 Anna and Marie interview people on the street for stories about effective collaboration. Yesterday, we completed our second bootcamp session, and we are now halfway through this experiment! I’ve really enjoyed watching Marie and Anna practice, seeing what exercises work and what needs to be tweaked, but more importantly, watching their growth process. The point of bootcamp is not for me to teach. The point is to give participants an opportunity to tap into their own collective wisdom and to practice the skills they need to be successful. It’s fun and fulfilling watching this manifest itself. As I mentioned before, I’m practicing too, and I’m learning a lot in the process. In this spirit, I’m now publishing the workout plans. These include the original plans as well as what actually happened (I do a fair bit of improvisation) and lessons learned. Feel free to steal them, use them, adapt them, and share them. I’d love to hear your questions, thoughts, compliments, and criticisms in the comments section! This entry was posted in Learnings on April 18, 2013 by Eugene Eric Kim.